If an airline company would offer a seat sale today, I wonder how many people would think of going to Virac, Catanduanes. Probably only few. 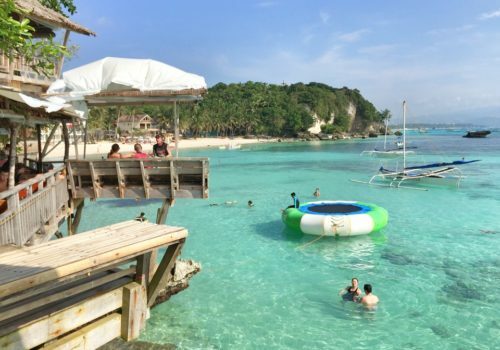 Most people would be excited to book a flight going to the most famous destinations in the Philippines such as Boracay, Palawan, and Bohol, or would fly internationally. 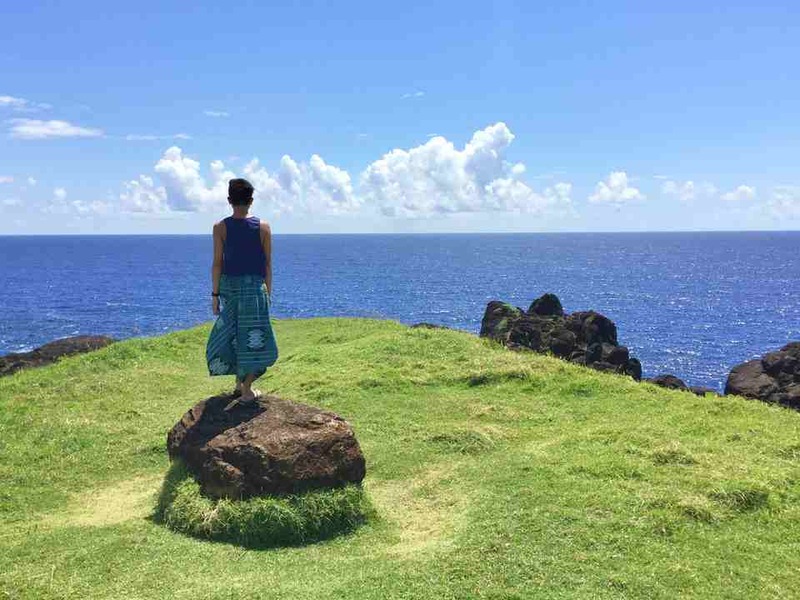 Catanduanes is probably last on the list of travelers. Maybe, it’s not even on their radar. That I see as a blessing and a curse at the same time. I, on the other hand, had always wanted to visit the province, so I booked a flight via Traveloka. From Manila, I arrived in Virac at 8 am. Lush green mountains and hills greeted me as the plane descended. The vibes pretty much reminded me of Romblon. I wasted no time and started my tour. 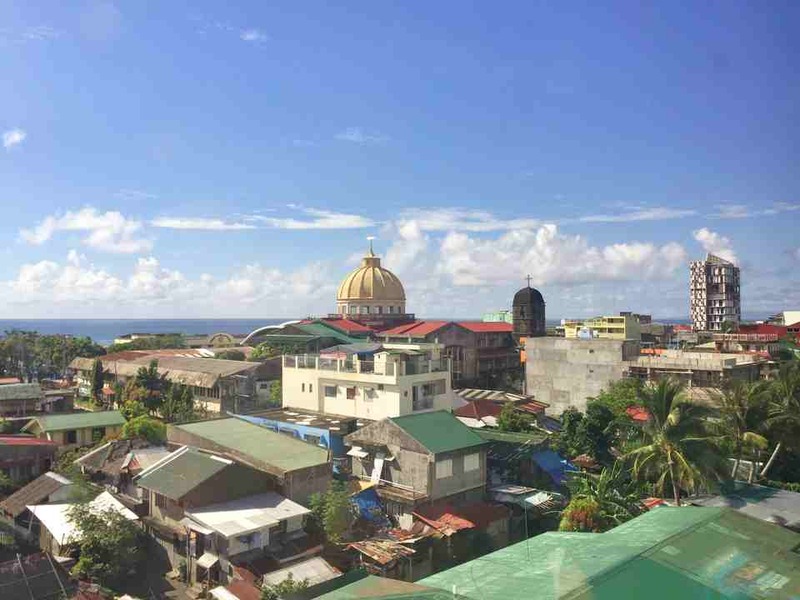 Virac is catching up with big cities in Catanduanes’ neighboring province, Bicol. 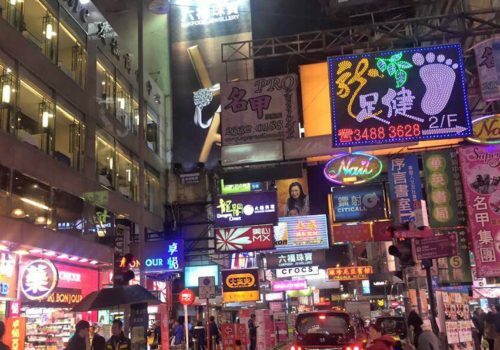 Banks, fast food restaurants, cafes, malls, and hotels are thriving, but the people manage to balance modernity and history. There are old churches that are a few minutes away from the center. Rice fields are present. Beautiful beaches are waiting for adventurers. The fascinating Virac Cathedral is a must-see. Inside, it will remind you of St. Peter’s Basilica’s dome. I recommend going to the roof deck of ARDCI Corporate Inn to have a 360-degree view of the city and the cathedral’s dome. We had always imagined big waves whenever we heard of Catanduanes since it’s in the Pacific Ocean. I was surprised, though, when I saw Mamangal Beach which is less than 30 minutes away from the center of Virac. The water was calm, clear, and blue. The long beach boasted of fine golden brown sand. The best part is a big portion of the beach is covered by trees. I could imagine myself lying there all day. It was tranquil. Not far from Mamangal Beach is Marilima Beach. It’s a paradise, the kind of beach that I instantly fall in love with. It looks similar to Mamangal, although with fewer trees. But I loved it more because not a single tourist was present when we arrived. The only sound I could hear was that of the small, calm waves. 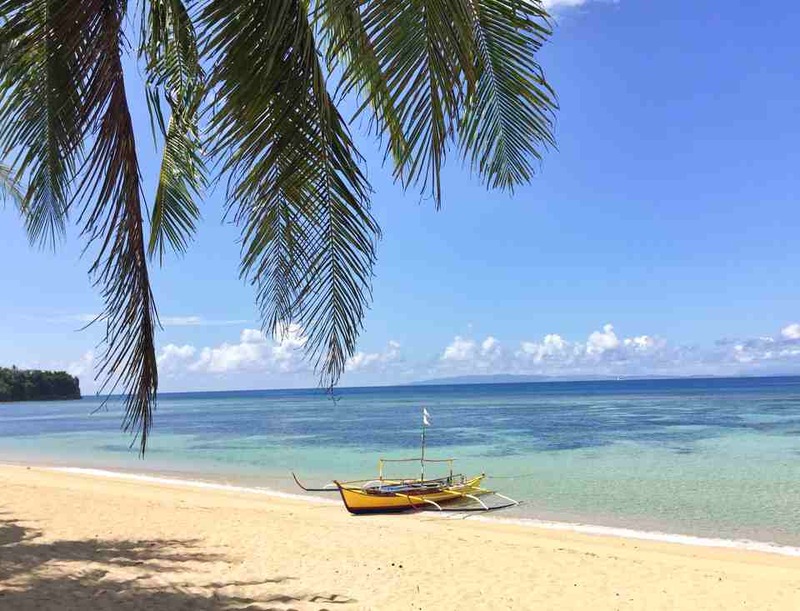 Visit these beaches and stay for one whole day on any of them; they’re going to make to your best-beaches-in-the-Philippines list. As we traveled around Catanduanes, I couldn’t help but get amazed at the surrounding greenery along the road. There were vast rice fields, rice terraces, and mountains. These sights are common in the country, but if there would be a ranking of the greenest islands, Catanduanes would be on top. 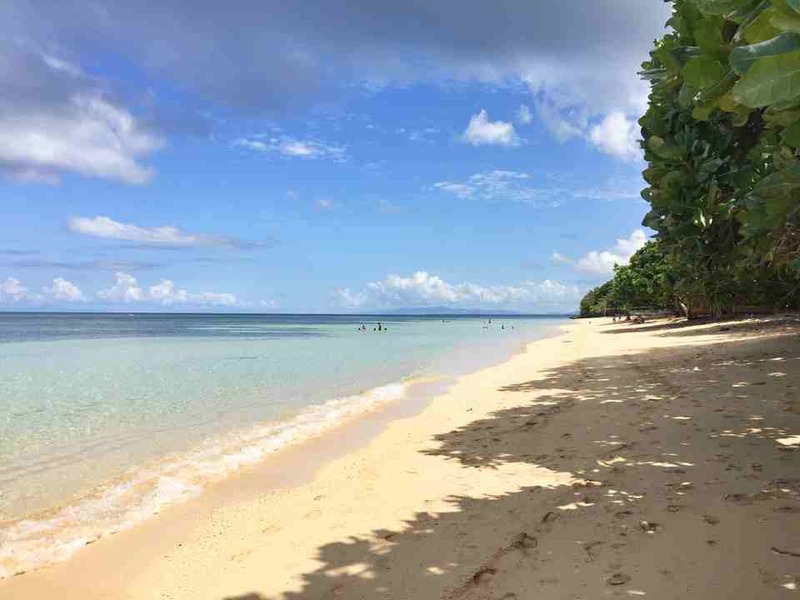 Day trip to these beaches costs only PHP10 entrance fee per beach. After exploring the capital and going on beach hopping in Virac, we visited the municipality of Bato where we explored Maribina falls, probably the most popular among all the falls in Catanduanes. Its a 3-tier falls with a strong rapid of cold water. It was crowded during my visit. It was okay, but I would have enjoyed it more if there were fewer people. 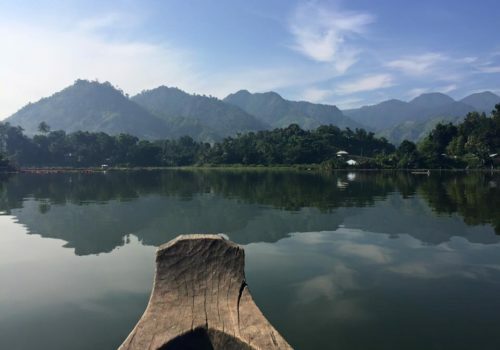 Tinuy-An has become my standard when it comes to falls and so far, nothing has beaten it. 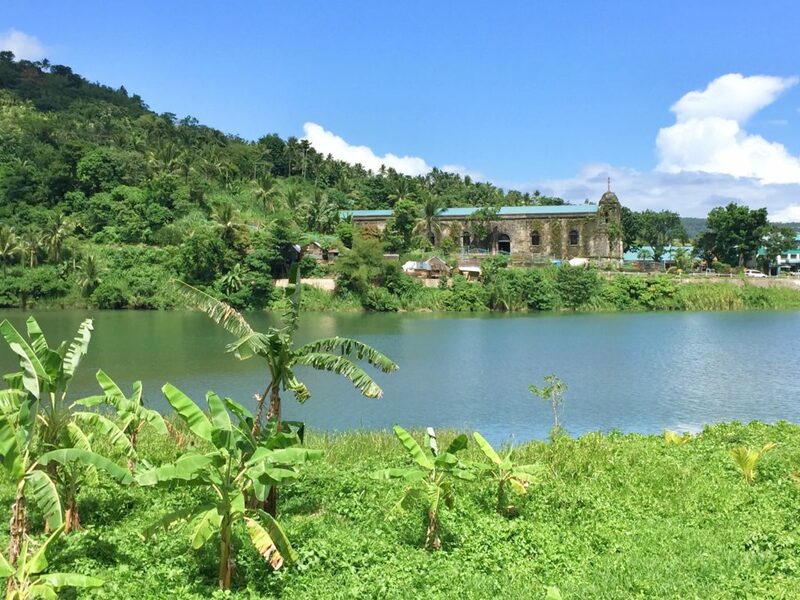 My favorite stop in Bato was Bato church and the river. The view is incredible! The river is clean. There’s a view of the hills. There’s a long bridge and a century-old church facing the river and the mountain–it’s simply spectacular! My visit to San Miguel was short. 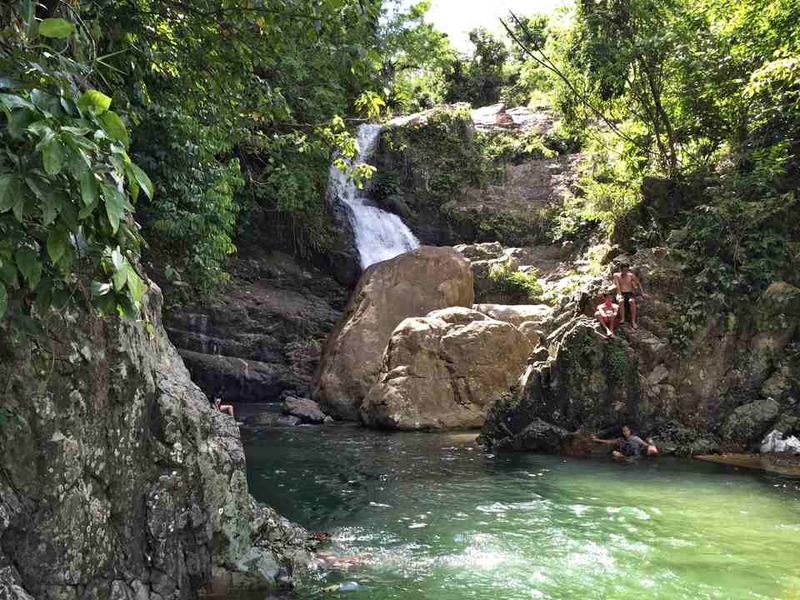 If you’d like to see a beautiful waterfall in Catanduanes, I suggest going to Solong Falls in San Miguel. The falls is 40 meters tall with a strong current. They built a man-made pool wherein the guests could swim, although I suggest going down to follow the current. It’s a bit challenging since you need to pass by huge rocks. If you want to enjoy a private dip, the natural pool is for you. 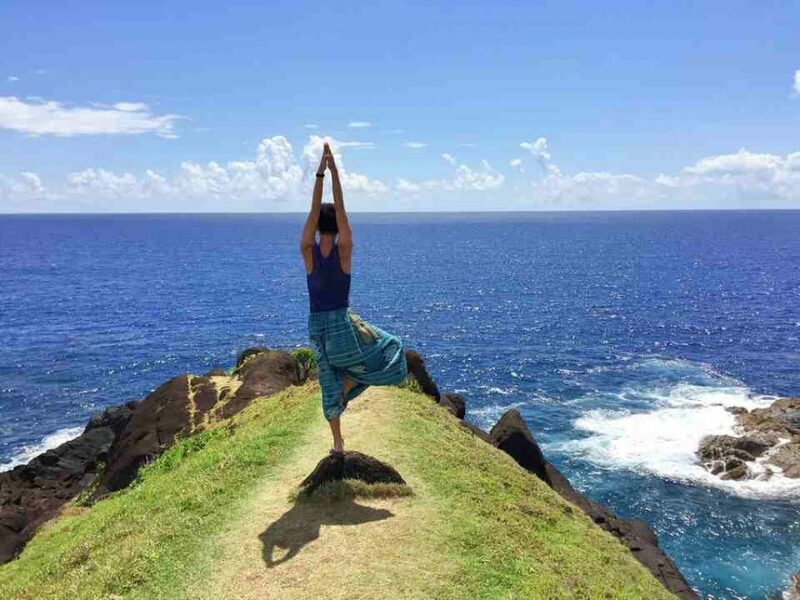 For a short while, you will get to experience Batanes when you visit Baras, home to the famous Binurong Point which boasts of hills and cliffs that are similar to those of Batanes. Binurong point is the most beautiful landscape I’ve seen this year so far. I wasn’t prepared for the 30-minute trek on the way up, but when I stepped on the edge of the cliff and saw an awe-inspiring view of the vast Pacific Ocean, I was blown away. 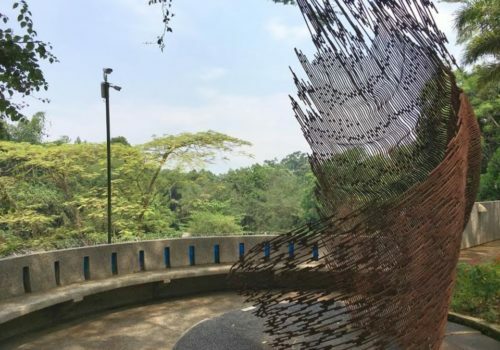 At Binurong Point, I encountered nature in its wildest, purest form. Right in front of me were the rugged cliffs facing the mighty Pacific Ocean. I could taste the air, hear the waves, feel the big rocks beneath my feet and smell the wind. 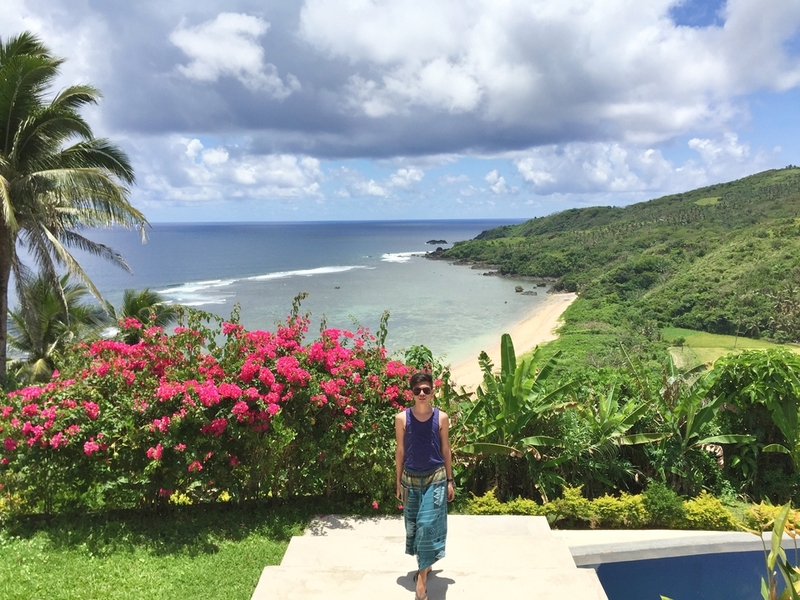 Catanduanes instantly climbed up to my favorites places in the Philippines. 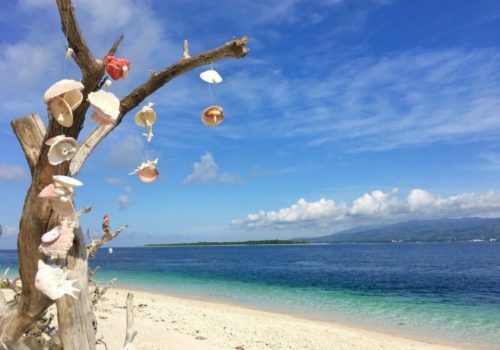 Baras is also the home of Puraran Beach which is an emerging surfing destination in the province. I was told that it’s also a good site to snorkel. Too bad I didn’t bring my gear. You may hire a tour guide at Binurong Point for PHP200. Entrance fee is PHP25 per person. 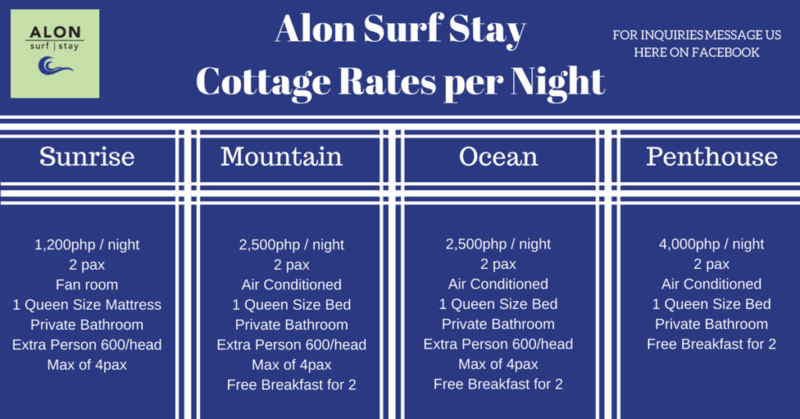 I had one of the best travel experiences in Catanduanes and that would not have been possible without my 3-day, 2-night accommodation at Alon Surf Stay. A detailed review will come up in another article. I got their Ocean Room with the view of the Pacific Ocean, rice fields, hills and the sky from my balcony. The view from the their dining area is to die for. They also have an infinity pool overlooking the ocean. For price rates, you may refer to the details below. Catanduanes is branded as a happy island. It is indeed one of my happiest places in the Philippines, not because it’s a party island, or there are theme park rides, but because, I appreciate how its people take care of the environment and never sacrifice it for tourism. That for me is happiness. Nice article. Planning to visit This province in May. Hi. 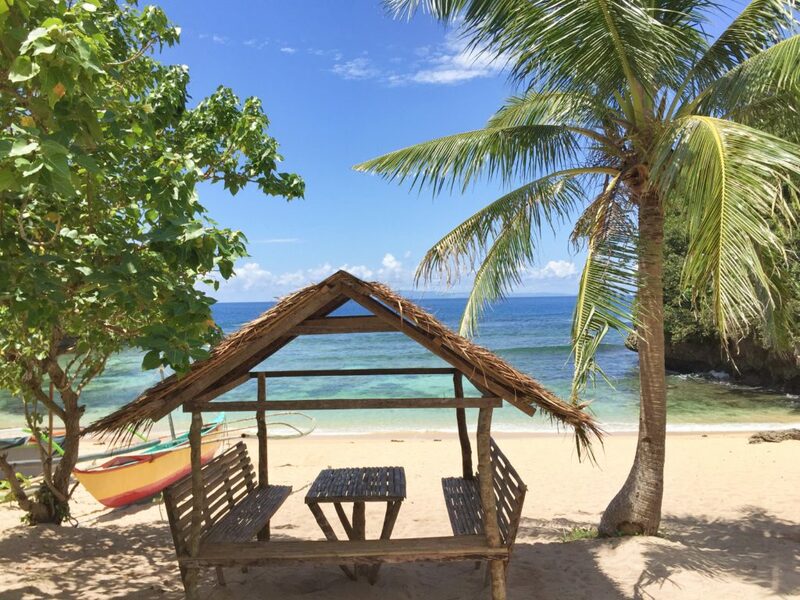 Do you have an expense break down of your budget on your trip at catanduanes? I don’t have expense breakdown but my flight ticket is around7k per night, then my room accommodation is 2500 per night. Roundtrip airport pickup is 3,000, tour to Binurong point is 1,000. I spend around a thousand with food too. Wow such awesome places really mesmerizing beauty of nature has been capture out in those pics. Thanks for sharing. Marilima Beach looks absolutely stunning. Most popular beaches are so crowded now that its a privilege to be somewhere this serene and beautiful. Thank you for sharing. There are still a lot of uncrowded beaches to visit here in the Philippines and I’m glad I visited Catanduanes before it will hit too many tourists in the future. Thanks for checking MArilyn, Your friends will surely love this island! Why I keep Coming Back to Boracay Island? 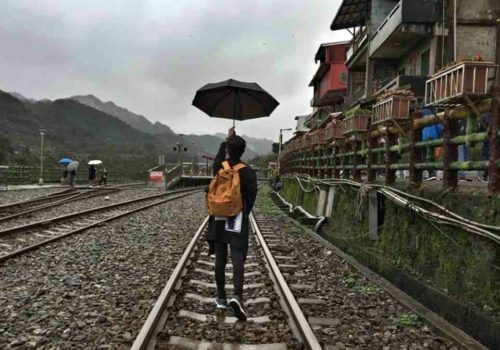 Where can 15,000php take you to Hongkong and Macau?